Free your t-zone from blackheads once and for all. This peel-off face mask leaves the skin mattified and the pores thoroughly cleansed. Apply to the t-zone and leave to dry for 10 minutes. Once the mask has completely dried, peel it off the face or wash it off with some warm water. These easy to carry sachets make the perfect travel companion and are a great way of introducing yourself to Avojo Skincare. Suitable for all skin types. Use twice weekly on cleansed skin. Blackheads and blocked pores are two of the most common skincare complaints. The cosmetic chemists at Avojo have developed their Black Peel-Off Mask to dig the dirt out from the pores and refine their appearance. Used twice weekly, this face mask will brighten the complexion and free the face from blackheads. Apply to cleansed, dry skin. Leave the mask for 10 minutes, or until it has dried, then peel it off or wash it off with warm water. 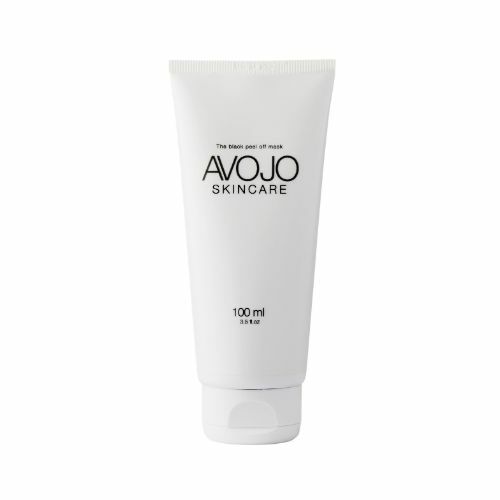 Avojo Black Peel Off Mask is a great way to get rid of blackheads.